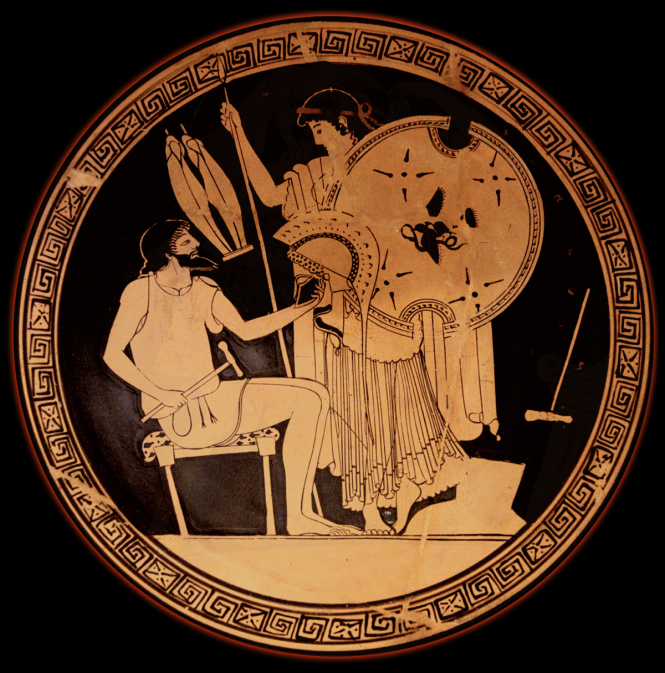 Hephaistos presents Achilles’ new armor to Thetis. Attic Red-figure Kylix, ca. 490-480 BCE by the Foundry Painter.